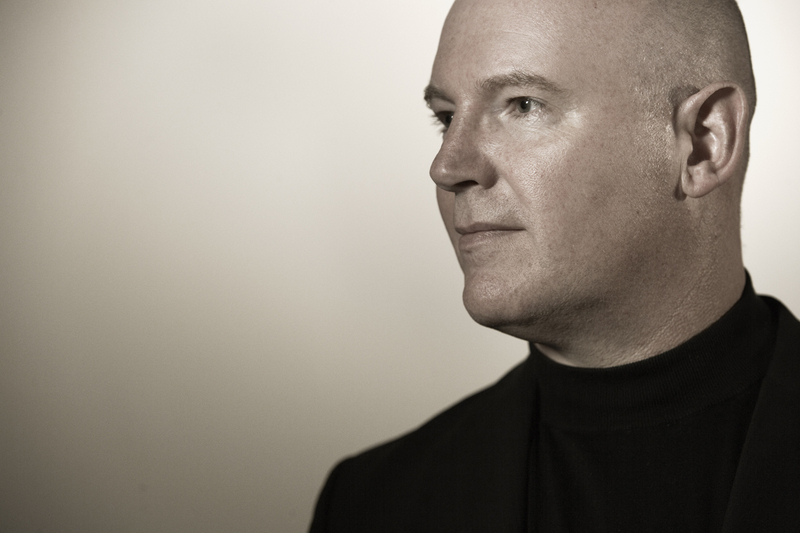 He’s also a best-selling author; his most recent book, How to be Heard: Secrets for Powerful Speaking and Listening, based on his popular TED Talk, is a blueprint for building a cohesive sound experience that incorporates powerful speaking and conscious listening, both in the business world and beyond. Treasure is also the chair of The Sound Agency, a consulting firm that advises businesses on how to effectively use sound in their physical spaces. Between speaking, writing, and managing his company, Treasure is a busy guy – and is always seeking ways to boost productivity and get more done in less time. But there was one place in his life where the excessive noise was becoming unmanageable – and that was his inbox. If Treasure could describe his inbox in one word, it would be loud – not ideal for a person whose business is built around sound. Treasure knew he needed to find a way to reduce the noise in his inbox if he wanted to increase his productivity. But it seemed like everything he tried to take back control of his email actually created more work – and ended up being more trouble than it was worth. “I was extremely bored with the spam I was getting and I was doing my best to filter it,” says Treasure. “I set up dozens of folders in Mac where I was squirreling things away. But of course you end up with email going into 40 or 50 places, and you forget where you’ve put things and you lose track… I had, like, 150 rules set up,” says Treasure. The way he was managing emails just wasn’t working for Treasure. He couldn’t risk losing track of important communications and didn’t want to spend hours each week deleting unnecessary emails or searching through endless folders to find what he was looking for. He needed a simple solution that would effectively manage his emails and give him his time back so he could focus on the projects that really mattered. And that’s when he found SaneBox. Treasure stumbled across SaneBox and decided to give it a shot. As he explored the features, the first thing he noticed was how SaneBox was able to get rid of all the unimportant and non-urgent messaging so he could get to the emails that actually mattered; it was like someone turned down the volume in his inbox so he could hear what was really important. SaneBox also helped Treasure better categorize his emails and make the distinction between emails that needed his immediate attention and emails he wanted to read, but on his timeline – not the sender’s. After exploring all the features SaneBox had to offer, there were a few that stood out to Treasure as particularly valuable: SaneNoReplies and SaneBlackHole. SaneNoReplies is a folder that automates the process of tracking email replies. SaneNoReplies tracks each email and alerts you whenever an email you’ve sent hasn’t received a reply. This feature ensures that no critical communications slip through the cracks and you get the response you need to move projects along. While SaneNoReplies tracks emails that need a response, SaneBlackHole keeps track of emails you don’t want or need to respond to. When you receive a message you don’t want in your inbox (like spam or sales emails), you can drag-and-drop the email into the SaneBlackHole folder. Once it’s in the folder, all future emails from that sender will immediately go to trash instead of creating unnecessary noise in your inbox. 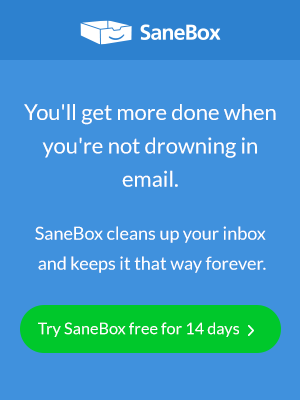 Overall, Treasure has found that SaneBox has decreased the noise in his inbox and restored a sense of order and simplicity to the way he manages his email – a huge improvement over the way he used to do things. In fact, Treasure has found SaneBox to be so useful, he’s started to consider it more of a friend than a productivity tool.